In the preceding 25 years to this book’s publication in 1985 there was an extensive and unprecedented burst of archaeological activity in evidence from below-ground deposits, above-ground structures, and artefacts. During the boom of the late 1960s and 1970s, which led to go much central town redevelopment, it was buried remains which yielded the most dramatic information. In the recession of the 1980s it was realised that upstanding remains had a lot to offer as well and they were being subject to ever more sophisticated study techniques. 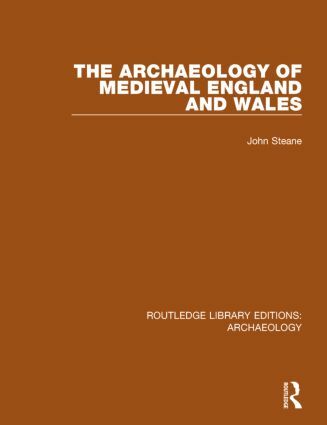 This book examines those recent developments in archaeology and assesses their bearing on the study of medieval English and Welsh history. Taking a series of important themes such as government, religion and the countryside, the book offers a chronological approach from the coming of the Vikings, 850 AD, to the Reformation in 1530. This approach focuses on the impact of man on the urban and rural landscape. An important text for students of ancient history.